A travelling Aquarium. The night before Christmas. To the strains of Boney M a luckless magician, his disenchanted sister and their trained cat take family magic to the next level. 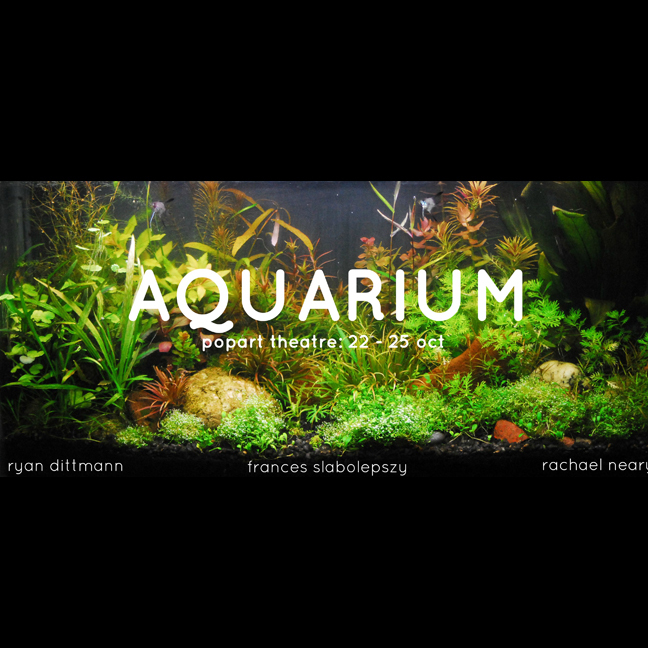 Aquarium is a comedy (with some magic) performed by Ryan Dittmann (Stranger Things, Lake) and Rachael Neary (Actress & Girl, Father, Father. Father!) , directed by Frances Slabolepszy (Whistle Stop) and created by the company. You’ll only know if you come and watch… will the cat swim tonight? Frances Slabolepszy is a performer and director based in Johannesburg. Her most recent directing credits include Whistle Stop (starring Ameera Patel and Jaques Da Silva) which won a Standard Bank Ovation award at the National Arts Festival. Racheal Neary is a Rhodes Graduate and prolific performer. Her most recent performance credits include Actress and Girl & Father, Father, Father (Standard Bank Silver Ovation Award winner). She is also an improvisor with the Jittery Citizens, and can be seen online in the YOU TUBE video series "TELL ME ABOUT IT". Ryan Dittman is a Rhodes Graduate and theatre and film actor. His most recent performance credits include LAKE (with Jacques Da Silva, directed by Daniel Buckland) and his one man show "Stranger Things". He also owns his own production company, Zikka Zimba productions.